Machine Networks is your UK host with a focus on service and quality. 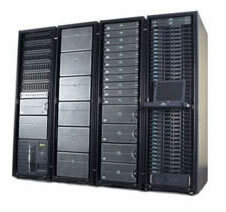 We are an established web hosting company offering personal and business internet solutions. As a UK web hosting provider, all of our servers are located in the UK, providing fast load times for the UK and the rest of Europe. We offer a range of affordable shared, reseller and dedicated hosting plans as well as SSL certificates, domain name registration and fast, reliable service. We are pleased to announce that our clients can now purchase .co domain names starting from £19.99. These can be registered from our domain registration web page.